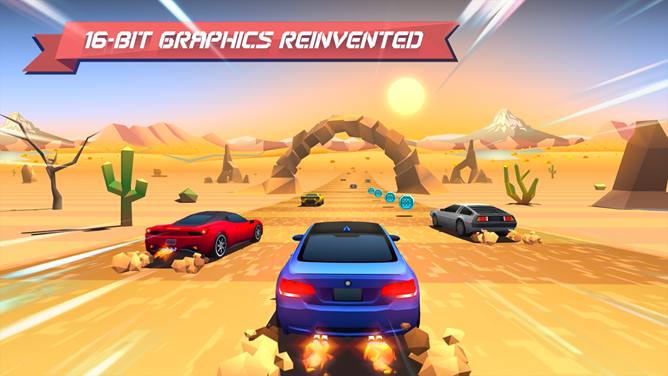 Horizon Chase is a simple racer with a behind-the-bumper setup in the vein of SEGA's classic Outrun, but with the basic 2D scrolling graphics transformed into razor-sharp, low-poly designs. 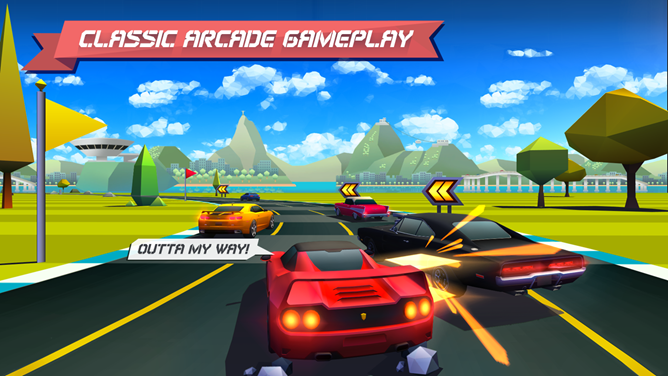 Even the music comes from Barry Leitch, a digital composer who's worked on classic racing games like Top Gear. Your only controls are steering, gas, and nitro, and the only objective is to weave and pass your way to first place before you run out of laps. If racing games were alcohol, Horizon Chase would be Everclear: a shot of almost pure driving with nothing else in the mix. 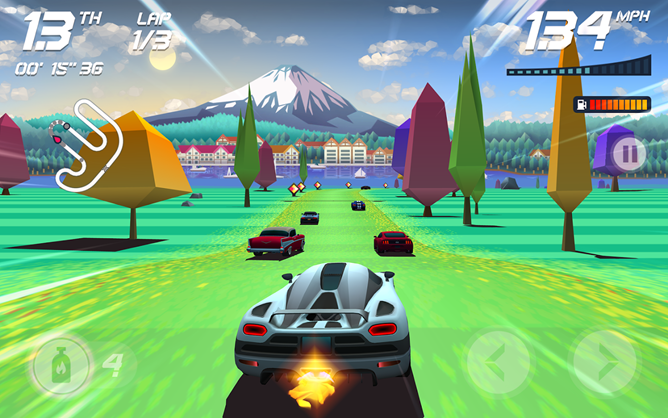 Horizon Chase's cars are bright and instantly recognizable, even if they don't actually bear the brand names of their inspiration, and the tracks are just interesting enough to be appealing (note the static backgrounds) without distracting you as you zoom through them. Drivers earn new cars and unlock new tracks by winning those races that are currently available. 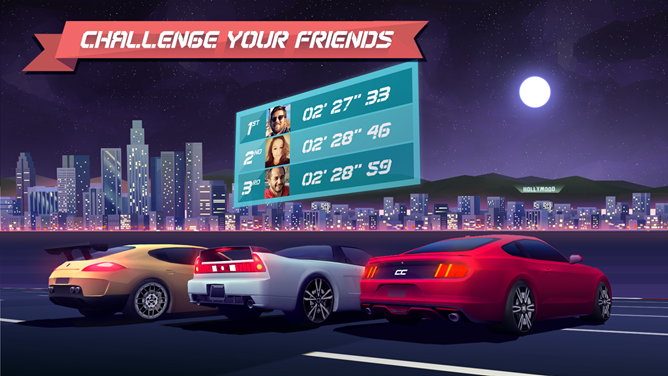 Best of all, Horizon Chase manages to be pleasingly retro without falling into the free-to-play trap. While the game is $3 on iOS, Android gamers get to try out the first cup for free before buying the full version as a single in-app purchase unlock. After that, you're free to explore all 73 tracks, 16 cars, and a ton of upgrades without spending another dime. The game includes multiple on-screen control setups plus Bluetooth controller support. In fact the only thing it's missing is multiplayer, though you can upload track times to Google Play Games leaderboards.